Hello Sweeties! Just back from Singapore yesterday and I never forget about my blog. 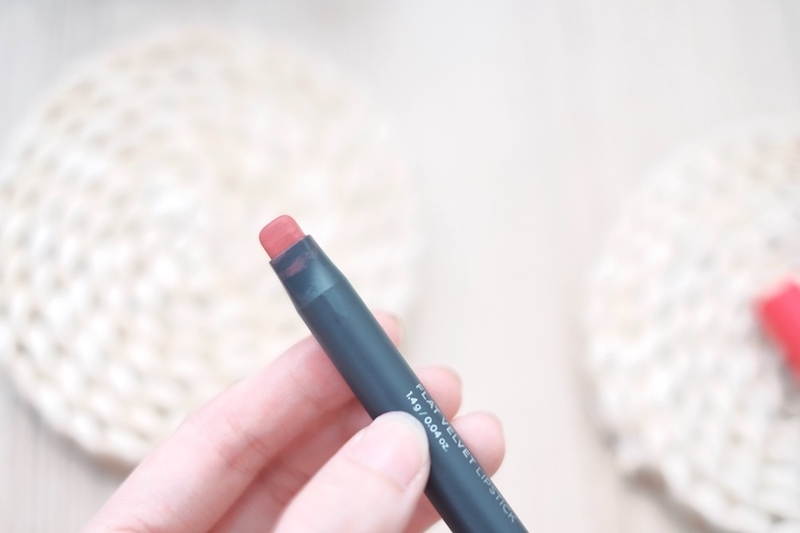 So here's a tried & tested review about THE FACE SHOP Flat Velvet Lipstick that you guys requested few days ago. I'm actually using this lipstick on my latest makeup tutorial video: Easy Peach Shimmer Makeup (click here). So surprise that you guys actually spot it on my insta stories and decided to give it a try! For those who missed it, no worries I got you a complete review here. If you follow THE FACE SHOP social media account you gonna be shock with the price of this product. I'm quite shock too because you guys were telling me there are lot of sales happening and you grab most of the colour in a very reasonable price. So I guess I missed this but nvm, at least I have my top 2 picks from the whole velvet lipstick this time. The reason why it has becomes one of my favourite lipstick recently other than my usual one is the flat lipstick design of this lipstick. It's so easy to draw the edges, pigmented and also super nice color that suitable for our asian's skin too. Other than that, I also love how long lasting it is compare to my other matte lipstick. Seriously, just get one of these color and you definitely gonna love it. I'm not really into glossy recently, more prefer to have something matte! 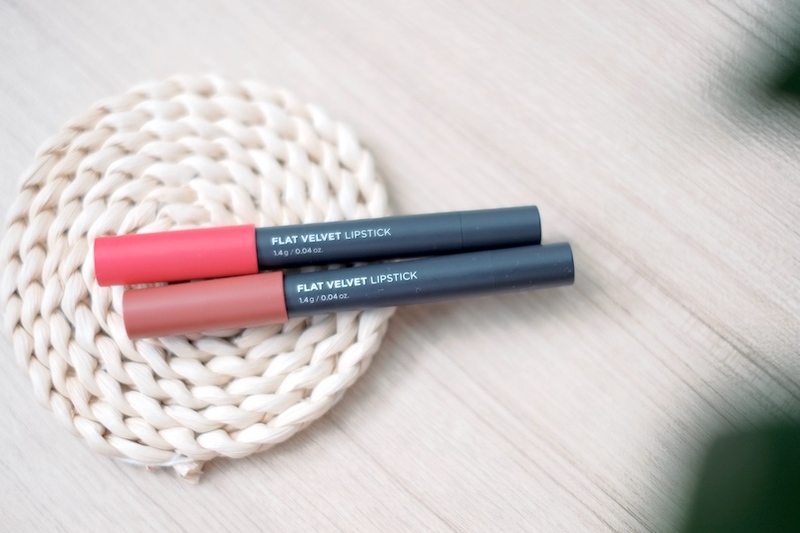 So this time I will be featured two of these flat velvet lipstick color in matte shades. There are flat glossy shades too but personally I think matte one really last longer than the other one on my lips. Look how pretty it is. I really recommend this for gradient lips lover too. It's really good to create a vibrant gradient lips which can last you more than half day! Other than that I wish to get the color #BE01 Solar Beige color. It's so pretty from the swatches above and I never own any lipstick in that colour too. One of the unique selling point of this lipstick will be the flat stick design. 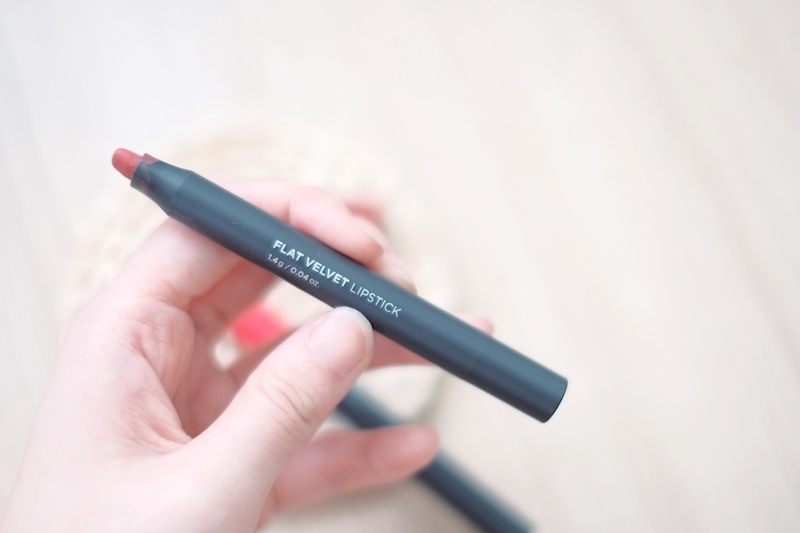 It's thin like a lip liner pen but feature a non-sticky, matt and powdery finish looking lipstick. 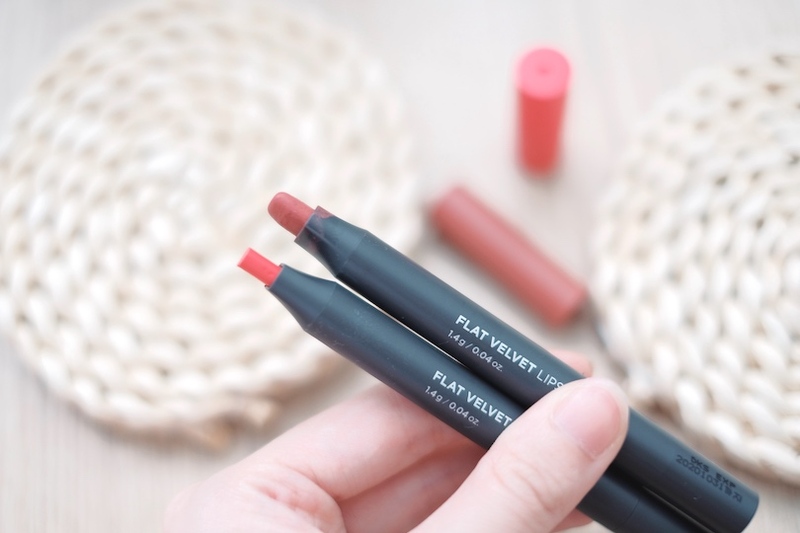 The flat design make it easy to draw fine line or even can use to outline on our lips too. So pretty right?! With just one stroke only! Super pigmented and the color outcome look so vivid! 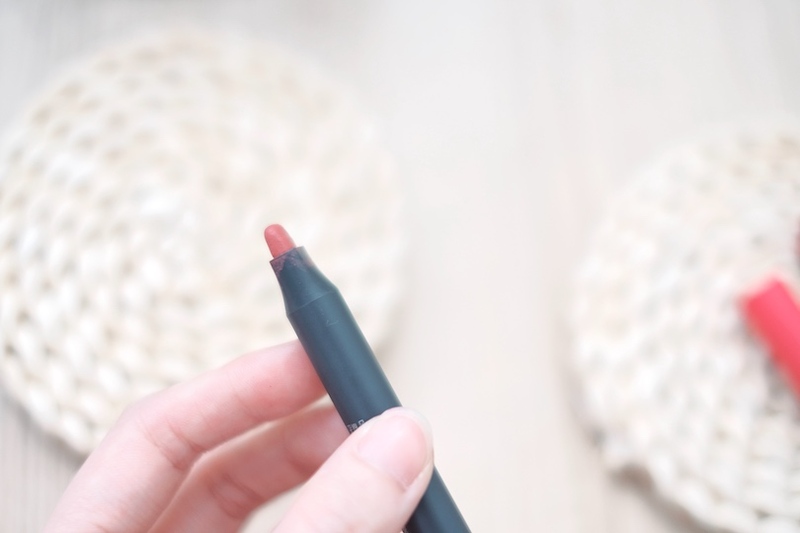 With this flat design lipstick, you can easily outline it to create a vibrant and more define lips. 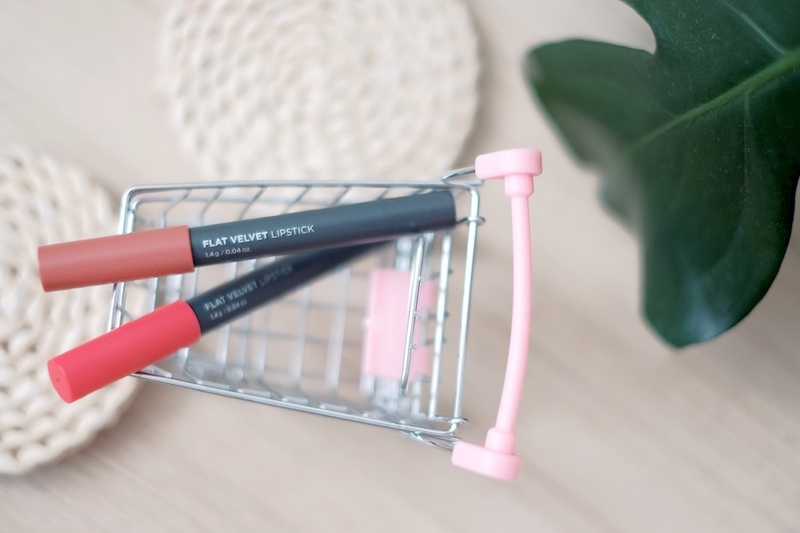 If you want to have a fuller looking lips, you can outline it first and fill in the blank with the lipstick while if you want to create a gradient looking lips, then you can apply the lipstick from the middle of your lips and slowly blend it out to create a beautiful gradient colour. On this photo, I'm using the PK02 My Pink shades. It look like a barbie pink and look how easy it is to outline, apply and draw our lips from the inner corner to the outer corner. 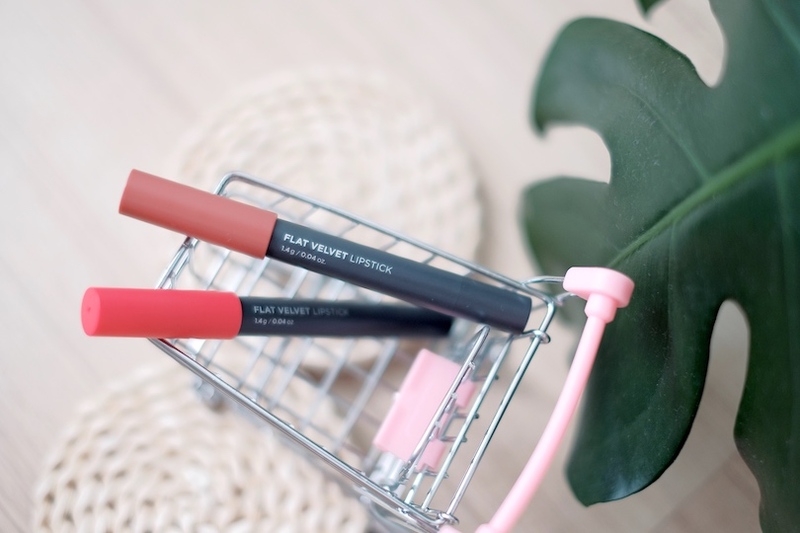 Unlike other lipstick sometime you need to use a lip brush to outline and draw the edges, with this you can easily apply it without giving it a mess. Remember to use the edges side to draw or outline your lips while the flat side can use to fill your lips with the lipstick color or draw a fuller or cuter cupids bow. So I guess it's all about the tried and tested review and I hope it's useful for you! See you on my next post. Love, xoxo. i have bought both colour you recommended. 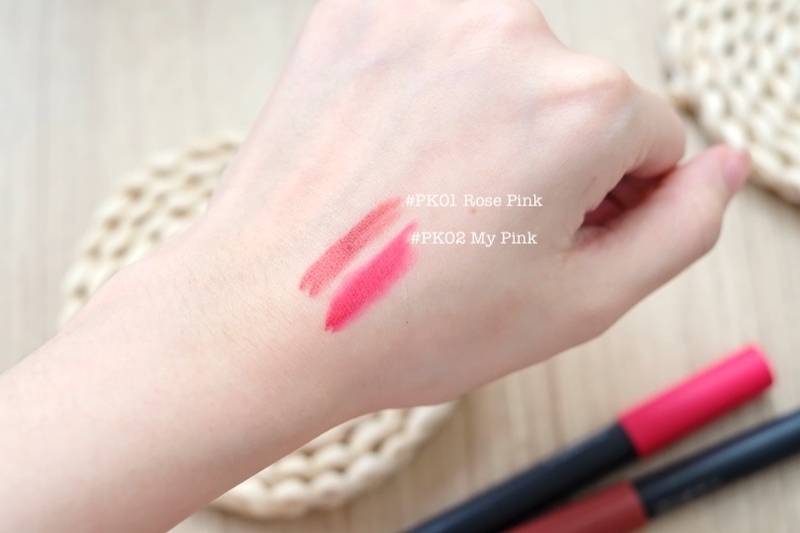 Now PK01 Rose Pink is my daily lipstick that i apply for work and PK02 is my outing lipstick! Thank for recommended because it really nice to use!